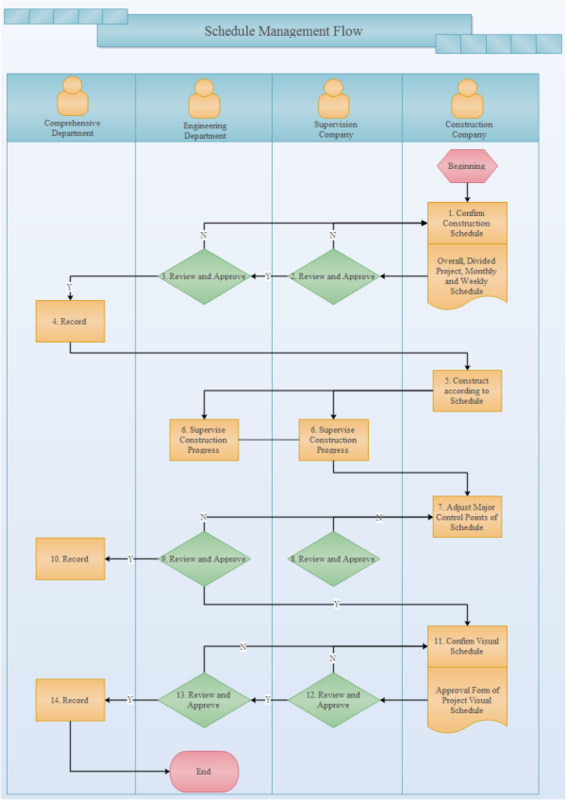 Below is a sample of schedule management flowchart showing the sub processes of approving a project schedule. Anyone can use this customizable template to design their own flowcharts. The schedule management flowchart template can be downloaded which can save many hours in creating great cross-functional flowchart. Edraw is professional in making flowcharts with pre-made flowchart symbols and good-looking flowchart templates. Discover why Edraw is an excellent program to create schedule management flowchart. Try Edraw FREE.